The data gathered by the Suzuki MotoGP team at their two-day test before the summer break at the new Red Bull Ring will be ‘as precious as gold’ when the series returns to the Austrian track this weekend, according to Aleix Espargaro. 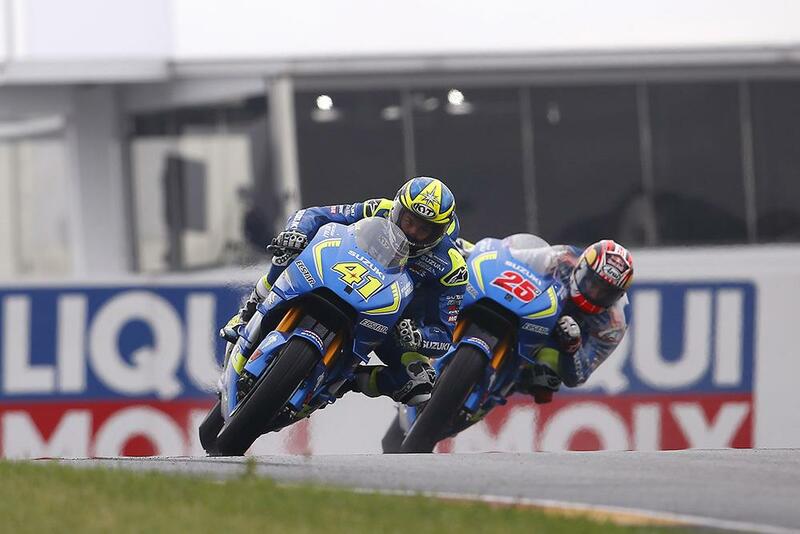 Struggling in recent races, as has teammate Maverick Viñales, the Spaniard says that they’ll be much better prepared than they have been thanks to the test. “When we came to Spielberg in July we could gather a lot of information and this is as precious as gold for us. The track is very peculiar, it is very fast and for this the most powerful engines will be eased, but has also some points where our chassis could be a positive weapon. And with that data, teammate Viñales says that they need to properly get their season underway. Showing good form this year but often failing to convert it into results, the Yamaha-bound racer is hoping for a change in fortune. “So far we have had positive results but we still miss some better placement, therefore we must keep on improving and take the best out of our machine. We had a test here in Austria in July and my feeling was positive; the circuit is very fast, with a sort of ‘old style’ layout which is pretty much an on-and-off. DON’T MISS MCN’S BRITISH GP MEGA-ISSUE – Glossy poster + 32-page special preview + magic Brit GP moments + Rossi bikes model offer. On sale August 24th.